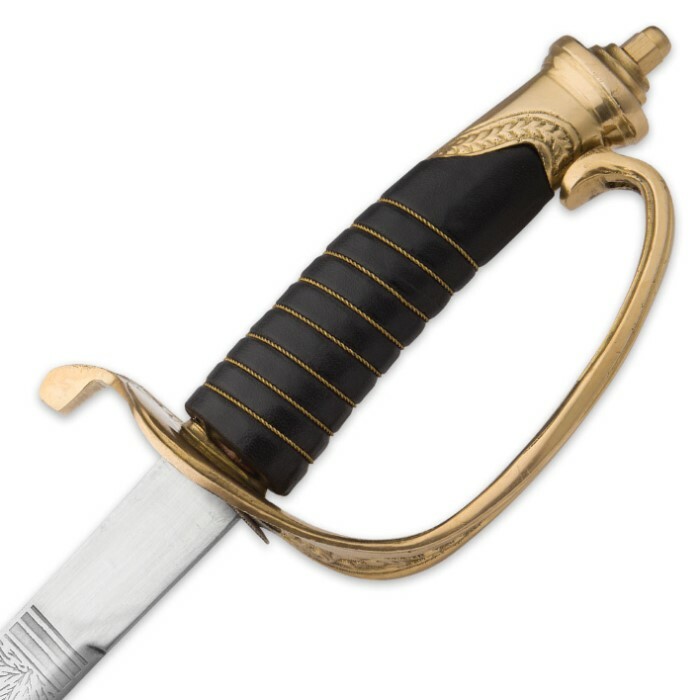 Once wielded by the boys in blue when battling the Confederate forces, this award winning replica is guaranteed to add a touch of comradery to your collection. 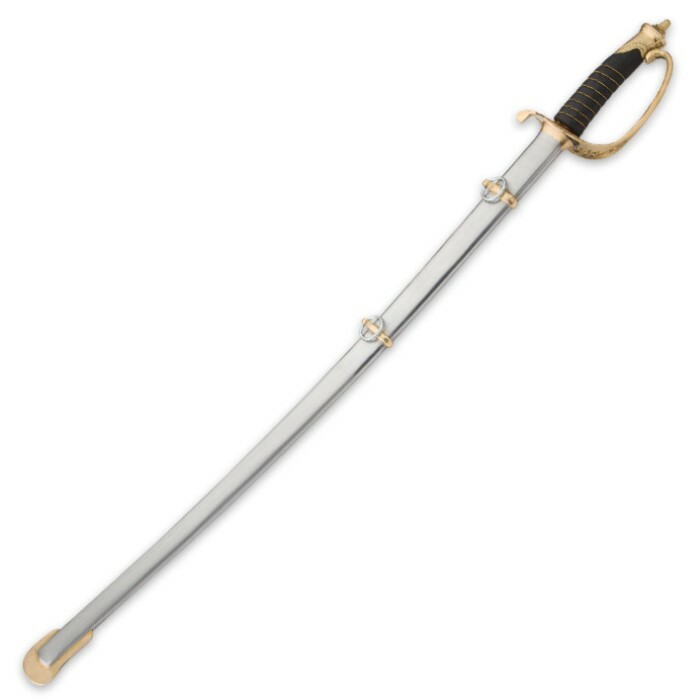 Each replica is manufactured with a leather handle accented with wire wrapping and solid brass guard and solid steel scabbard. 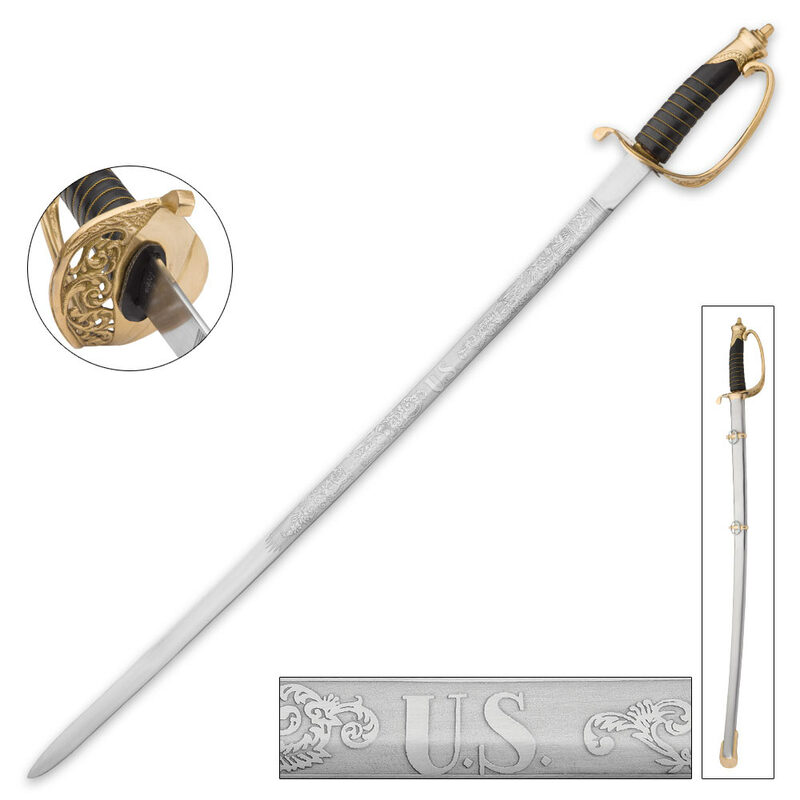 The Union Foot Officer's Saber, the sword most popular with the Union officers. Featuring a 33 3/4" high carbon steel blade with historical blade etchings mirroring those found on the original. 40" overall. Good quality sword I was very pleased with my purchase, the only thing that bothered me was how when it arrived it was entirely covered with oil so it took me about half an hour to clean it but after that it looked perfect.